Dr Will Cole: Functional Medicine Expert, Practitioner and Author of Ketotarian. In today’s interview, leading expert and practitioner in functional medicine, Dr Will Cole, explains how we can eat a diet that is mostly (or entirely) plant-based and still get the benefits of a ketogenic lifestyle. Will is very passionate about finding personalised solutions to people’s health problems by focusing on root causes and long-term life style changes. With more research continually coming out we are becoming more aware of the benefits a ketogenic diet can offer. But how can we get these benefits without going heavy on the animal products? Today, we get a chance to talk about the Ketotarian diet. Will shares great tips and explains how a plant-based eating plan can be tailored to an individual’s personal preferences so that we get the best of both worlds. If you know someone who is interested in how a vegan, vegetarian or a pescatarian diet can still be ketogenic, this interview is for them. I enjoyed this interview with Will as he has a great way of thinking about food. His approach is not dogmatic; it is not all or nothing. As a rule he avoids generalisations and focuses on each individual’s needs to find what makes them feel their best. Special thanks to Will for joining me on the show. Enjoy the episode! To find out more or set up a consultation, visit Will on his website or follow him on Twitter, or Instagram. [01:32] – The term Ketotarian is an amalgamation of getting the best out of being plant-based and as well as being fat adapted/being in ketosis; leveraging the benefits of both. It was born out of Will’s experience in functional medicine and is adaptable, having vegan, vegetarian or pescatarian options. [02:48] – Will shares his background growing up in a very health conscious household and his experience with a whole foods vegan diet that was high in carbohydrates. [05:20] – Being strictly vegan for a number of years Will noticed dramatic changes in his health after introducing some animal products. His inflammation levels went down, he had more energy levels and overall improvement both subjectively and in his lab work results. He explains the focus should be on what works for you; tailoring the approach and not being strict about one single way of doing things. [07:03] – It takes more thoughtfulness to be vegan-keto (or just vegan in general) in order to ensure you are getting all the necessary amino-acids. 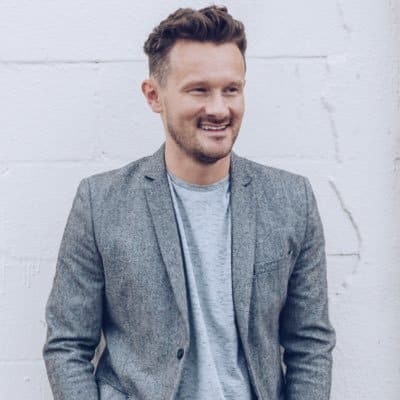 [08:47] – Will shares tips on the best vegan-keto sources of protein including, nuts and seeds, vegetables, spirulina, sacha inchi as well as fermented organic, non-GMO soy like the tempeh, and natto. In the book he has a list of complete proteins. [10:22] – What about fats? There is olives and olive oil of course as well as avocados, avocado oil, coconuts, coconut oil and nuts and seeds. He believes these are the best fats to focus on regardless of whether they are vegan/vegetarian/pescatarian with other good options being eggs and fish. [11:06] – How much fish people on pescatarian diet eat will depend on what makes them feel best and what their personal nutritional requirements are. From the feedback Will has received, most people are having it occasionally with a more plant-centric diet. [12:33] – How much food in a day is necessary on a ketotarian diet? In Will’s experience, while it is very individual, because the meal plans are well structured most people are reporting they are well satiated and are eating an average amount of food. He finds that, generally speaking, the carnivore-keto diet is actually less satiating. [15:00] – If the individual has no personal preference to a specific type of diet Will would recommend eating the vegetarian/pescatarian-keto fat sources. He believes they are very healing and can be therapeutic for people; reducing inflammation and helping improve hormone or brain function. [16:59] – Will explains how animal-based products can be pro-inflammatory. Sometimes people with gut problems such as leaky gut syndrome or other gut issues, can drive inflammation up with too much dairy, red meat or coconut oil due to the increase in gram negative bacteria. There is also a genetic component. In this case tweak your fat sources focusing on plant based keto options. 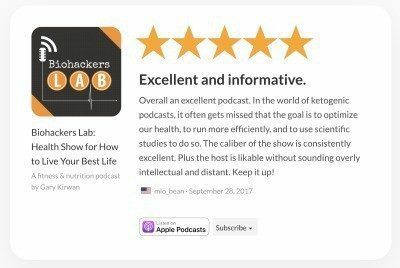 [20:04] – We discussed cholesterol hyper-responders on a regular keto diet with Dr Dave Feldman in a previous episode. With the plant based keto diet this is much less likely to occur and would largely depend on how much coconuts are being consumed. Will explains the context and the ratios also tend to be better if it does occur. [21:51] – While Coconut oils and MCT oils, have great benefits, they can aggravate people due to the high levels of saturated fats. Will explains it depends on the individual to see how they respond. [23:44] – Dr Zsófia Clemens talked about using the paleo-ketogenic approach for healing intestinal permeability. This reinforces Will’s view on Functional Medicine; being that one approach does not work for everybody. He believes there is a time and a place for a carnivore diet – an ultimate elimination diet. He also recommends bone broth for healing gut issues and shares the best way to cook vegetables. [28:14] – Will talks about tracking serum insulin, C peptide, glucose levels and ketones to make sure the patients are improving. However, in the books he gives people the option to keep it simple and go by how they feel. The whole idea is to make the diet sustainable for people long-term. [30:22] – Will emphasises, that while we should all try to do the best we can when sourcing vegetables from organic sources to avoid harmful chemicals, we shouldn’t worry and stress out unnecessarily over this. He encourages people to visit the Environmental Working Group and look at their clean 15 list. Also make sure you really wash produce from the dirty dozen list well. [32:02] – Orthorexia is a significant problem in the wellness world. While reading up on information and educating our self is important, it can create a lot of stress and anxiety. [33:08] – Sourcing food in big cities vs rural places. New York city is a huge metropolis but still has great farmer’s markets, Wholefoods and independent health food stores. Will explains how a big city can actually have more convenient options available than smaller places. Luckily, nowadays we can order things online. [35:14] – We talk intermittent fasting. Will thinks this is down to personal preference. [36:55] – Another important point is eating to satiety and being in tune with your body. Often, people who experience the most irritability and hunger when transitioning from a different way of eating, are not eating enough food. Tip: Eat when you are hungry and until you are satiated, especially at the beginning of the journey while you are still adapting. [40:06] – Will does not recommend vegan as generally they have undesirable, inflammatory ingredients. Just because something is vegan or keto it does not necessarily mean it is healthy. Nut butters on the other hand are a good choice and easy snack. [41:14] – Of course, for those individuals who are on the ketotarian diet primarily for weight loss, overdoing the nut butters could stall their weight loss. 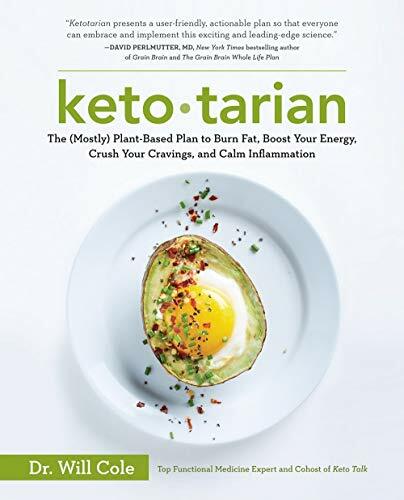 [42:10] – For those people who are interested in giving the ketotarian diet a try the best way to get started is to visit: drwillcole.com where you can find a link to the Ketotarian book (which is also available through Amazon, Barnes and Nobel and other independent bookstores), video classes, or set up a consultation.